This shrub doesn’t seem to be the least bit phased by our extremely hot summer. 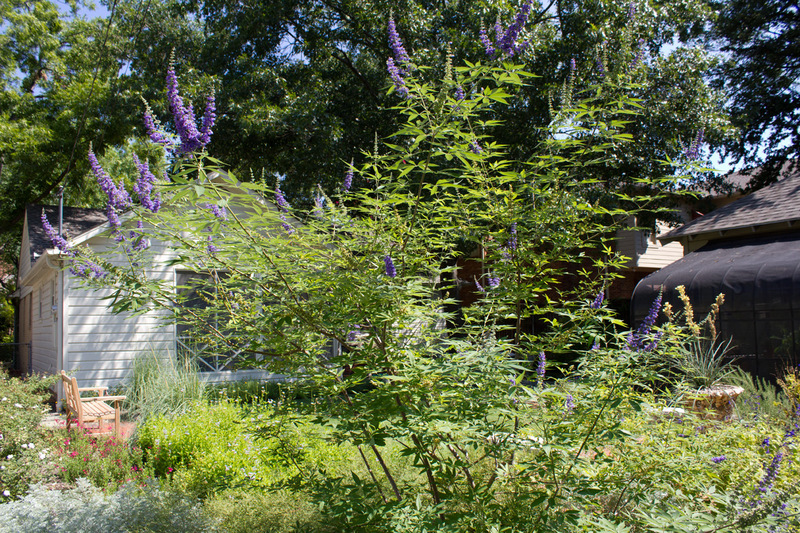 The Texas Lilac Vitex is blooming again. Despite the fact that I chose to ignore all the knowledgeable online advice to prune back the old springtime blooms in order to have a second annual show, I was rewarded for doing nothing. Yay for laziness!